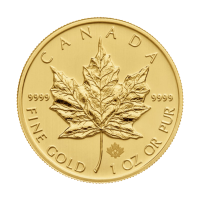 Minted by the Royal Canadian Mint in limited quantity and issued annually since 1988, the Canadian Silver Maple Leaf coin's face value is the highest among silver bullion coins at CA$5 and is the first minted coin depicting the latest official likeness of the Queen. 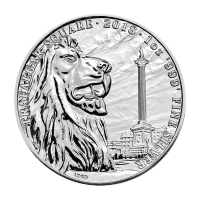 Although the Royal Canadian Mint periodically embellishes this silver coin's design by adding colour or privy marks, all versions prominently feature the iconic maple leaf emblem - an internationally-recognized symbol of Canadian identity. The obverse depicts one of three different effigies of Queen Elizabeth II in various stages of life (year of issue and 5-dollar face value are also shown). 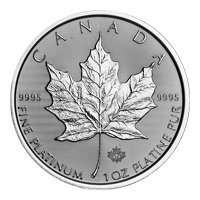 As with all Canadian Silver Maple leaf coins, the 2006 design includes the series' hallmark assurance: "Fine Silver 1 oz Argent Pur" on the leaf face. 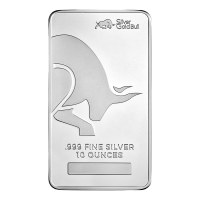 This series moves fast and makes a memorable gift. צד אחד דמותה של מלכת אליזבת' השנייה (מעוצבת על ידי האמנית סוזנה בלונט) והמילים "Elizabeth II 5 Dollars 2006"
דמותה של מלכת אליזבת' השנייה (מעוצבת על ידי האמנית סוזנה בלונט) והמילים "Elizabeth II 5 Dollars 2006"
מטבע כסף עלה אדר קנדי אטום בפלקס שנת 2006 משקל אונקיה Minted by the Royal Canadian Mint in limited quantity and issued annually since 1988, the Canadian Silver Maple Leaf coin's face value is the highest among silver bullion coins at CA$5 and is the first minted coin depicting the latest official likeness of the Queen. 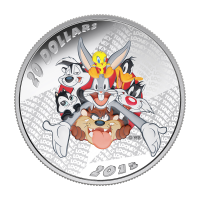 Although the Royal Canadian Mint periodically embellishes this silver coin's design by adding colour or privy marks, all versions prominently feature the iconic maple leaf emblem - an internationally-recognized symbol of Canadian identity. The obverse depicts one of three different effigies of Queen Elizabeth II in various stages of life (year of issue and 5-dollar face value are also shown). 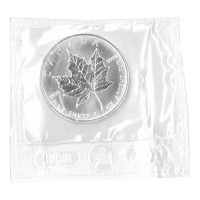 As with all Canadian Silver Maple leaf coins, the 2006 design includes the series' hallmark assurance: "Fine Silver 1 oz Argent Pur" on the leaf face. 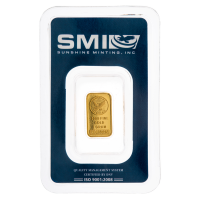 This series moves fast and makes a memorable gift.